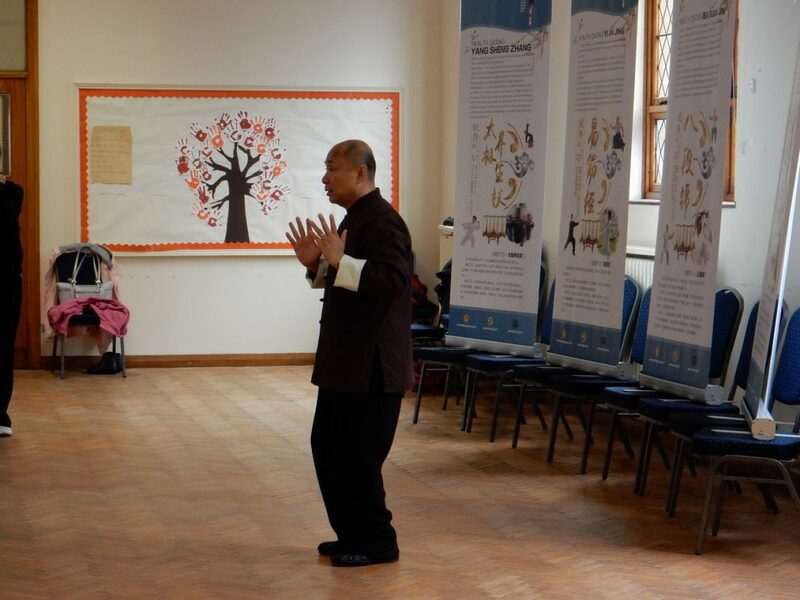 Following the morning Health Qigong session we then had a wonderful afternoon of Sun Style Tai Chi. The Deyin Institute has direct lineage to the Sun style and you can read all about it yourself by clicking here. Last year Tary introduced the students to Sun style and over the past year, two groups have been learning the form. Most of them attended the session. There were also those who had not done Sun style before so again another new experience. With Tary’s skilled, detailed and humourous delivery we managed to work our way through the whole form in the afternoon. As usual plenty of photos were taken and Tary even did some video footage. Once I have that back from him then I can post some up on here. Now to go over his points in class! Afterwards eleven of us including Tary went for a well earned meal at the Tai Pan restaurant. A very enjoyable day and if you are interested in knowing when Faye or Tary are next in Liverpool then why not subscribe to our newsletter to keep up to date with the latest news. You can go direct to the subscription page by clicking here.